How much would customers save, really? The United States isn’t the only market where the Tesla Model 3 is proving popular. Norway is Europe’s most popular EV market but Tesla is anxious to break into what many consider to be the crown jewel of the continent’s car business: Germany. Tesla would love nothing more than to disrupt auto sales in Volkswagen, BMW, and Daimler-Benz’s backyard. But according to Bloomberg, a fair competition German watchdog called Wettbewerbszentrale, stated the Tesla’s fuel-saving claims are misleading to consumers. 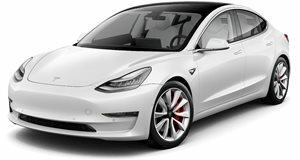 Tesla was promoting the AWD version of the Model 3 on its German-language website with claims that customers would receive 5,000 euros (around $5,600) in savings over five years off the car’s 56,380-Euro price tag. The watchdog says that claim is "arbitrary, lack(s) transparency and infringe(s) rules on actual and clear pricing” practices. Tesla apparently did not want to provoke a fight or even make an attempt to dispute the watchdog’s findings. Instead, it has agreed to drop those references to "price after estimated savings,” but only starting on March 20. It should be noted that new Tesla vehicle registrations came to just 137 vehicles in February, so it’s not surprising the automaker wants to significantly boost that figure. Now that Model 3 production has been sorted, more or less, Tesla is planning to increase European deliveries in the first business quarter of this year. Combined with German government subsidies, Tesla is banking on a customer upsurge, hence the aggressive advertising claims. Tesla should know better than to make claims like that in a country that prides itself on precision and details. Of course, someone in Germany was going to realize that , sooner or later, Tesla was exaggerating. This is also sort of an early lesson for those German brands with upcoming EVs of their own, such as the Porsche Taycan and Volkswagen I.D. Don’t even try to confuse customers.